He was gone for quite a while now and I was wallowing in self-pity. 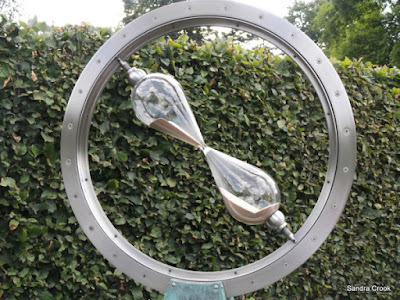 My life did not seem to have any meaning now as I sat and watched the hour glass endlessly. The heart break had left my entire body and soul broken. Just as the sun rose one day, I noticed the empty half of the hour glass getting filled as the hour passed. That made me realize that my empty heart could be filled one day too. Finally, succumbing to the dose of time I got off my bed and walked ahead to start a new life. This drabble (100 word fiction) is written for Friday Fictioneers, 19th February 2016. Wow! Just what I needed to read today! :) Thank you, Soumya! Will keep the hour glass in my mind always! Now this one I know is fiction. The lioness I know wouldn't wallow in self pity for anyone ;) That said, this is a good piece given the prompt. Good source of motivation - the hour glass. Lovely piece! Good one on the prompt. Life has to move on. Sometimes it takes putting one foot in front of the other, doesn't it? Empty heart and empty jar. How our life is filled with thirst to be love!! Superb. Very inspirational, positive thinking of her. Great take. Positive sign. Good one, Soumya. Beautiful! I love the motivation of this piece, Soumya!